Bob Arum said Tuesday the terms were agreed to and the contracts were sent out. All that was left was to sign them. 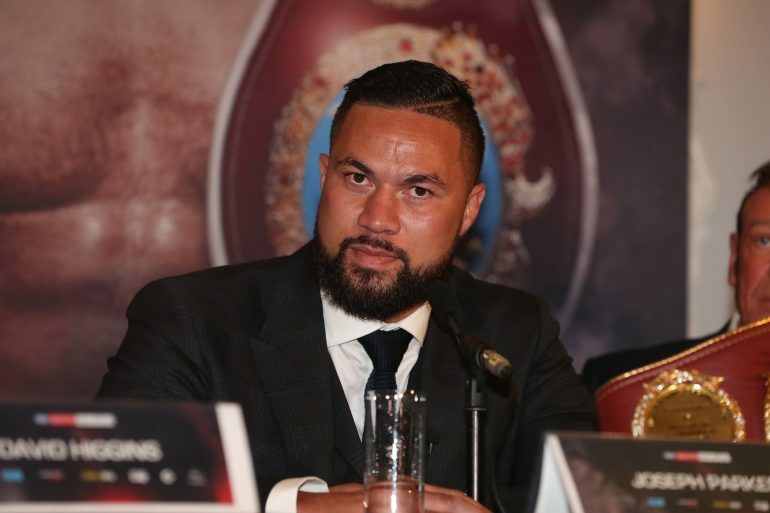 It would be Joseph Parker, in his first fight after his heavyweight title loss to Anthony Joshua, against Bryant Jennings on August 18 in Atlantic City, New Jersey, on ESPN. Then, Eddie Hearn made the announcement early Thursday morning: Dillian Whyte and Parker signed to fight each other on July 28 at The O2 in London. Jennings (23-2, 13 knockouts) will still fight August 18 on ESPN, but now he needs a new opponent. Meanwhile, Whyte and Parker are set for an intriguing heavyweight clash that should position the winner for a future title shot. Parker (24-1, 18 KOs) became the first fighter to last the distance with Joshua when they fought in April. The 26-year-old from New Zealand lost his WBO title in a wide-points loss, but he was able to trouble the division kingpin with his defense and movement. “We’ve both been in with AJ. One of us ended the fight on our feet, the other didn’t. That pretty much speaks for itself,” said Parker, referring to Whyte’s seventh-round stoppage loss to Joshua in December 2015. Whyte (23-1, 17 KOs) has strung off seven consecutive victories since his lone professional setback, culminating with a six-round destruction of Lucas Browne in March on HBO. The 30-year-old Brit is one of the most devastating body punchers in the sport, and he’s been beating the drums for a significant fight ever since his loss to Joshua. Finally, he has it. “There’s going to be blood, pain and a knockout,” said Whyte, THE RING’s No. 6 heavyweight. “I’m bang up for this. He’s a good fighter but he didn’t show much courage against Joshua. I want him to be more adventurous and not go on the run, but he knows that if he has a fight against me, he’s getting knocked out clean and in a brutal way.